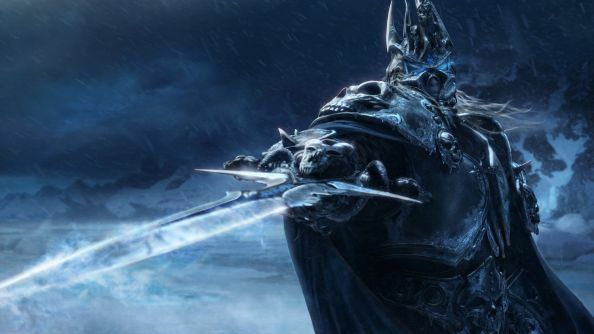 Update: The next Hearthstone expansion is taking us to Northrend, and Knights of the Frozen Throne will be adding Death Knights – as new versions of each hero already in-game. Announced as the opener of the Hearthstone Spring Championship, Knights of the Frozen Throne will release some time in August. A few cards were already shown, but full spoiler season kicks off on July 24. Catch up on Hearthstone’s latest expansion with our guide to all the Journey to Un’Goro cards. The main theme of the expansion is, perhaps obviously, death. Each hero will get a legendary hero card to put into their death that can turn them into a more powerful version of themselves. Think Lord Jaraxxus for everybody, rather than adding a proper tenth class to the game. Much like quests, they’ll probably all be bonkers powerful – on paper, at least. The expansion is also adding Lifesteal as a keyword, an ability several minions have had before but has been spelled out. Predictably, it heals your hero for the damage dealt by a spell or minion. Holy Fire, for example, will likely be given the keyword, along with Wickerflame Burnbristle. You can see the archive of the announcement above. As noted there, this will also be the first Hearthstone expansion to follow the new format of missions, single-player adventures that will be free with every expansion going forward. What form those will take we’ll find out soon, along with more cards starting on July 24. In the lead up to release, expect a series of reveals on a number of different websites and then a final big blowout stream from Blizzard’s offices. We’d expect that around the second or third week of August. Update:Not long now to see if the hints and rumours line up, as the livestream starts in just a few hours. We’ll update the story once we know. Hearthstone’s next expansion looks almost certain to have an icy theme, meaning that previous leaks suggesting a Lich King focus are looking a whole lot more credible. The evidence comes in the form of a slew of leaked artwork, dug out of the website of Hearthstone’s Chinese host, NetEase. Here is art for a landing page, here are some UI assets, and here’s a border. Someone on Reddit even managed to find a full animated banner for the expansion, but it looks like that, at least, has been taken down. Update:Someone found a mirror. Check out Frostmourne looming large in the background. What’s interesting is that the Chinese text in that banner translates to Knights of the Frozen Throne, not Return of the Lich King, as the previous leak suggested. Note also that the URLs for all the leaked art feature the word ‘knight’. The Hearthstone community has been keen to see Death Knight added as a class for a while now, as it was in World of Warcraft’s Lich King expansion. Perhaps that’s the reason for the curious name? If it’s true that we’re about to head back to Northrend, Redditor Coldara has an interesting theory as to how it’ll be justified. “Hearthstone’s themes are partly a big what if twist surrounding WoW lore,” they point out. What if Tirion Fordring, who saves the champions of the Argent Crusade when they face the Lich King in WoW, never did that? What if, as Cormac419 suggests, he was all like “Light, grant me one final blessing,” and the Light was all like, “lol nah”? Anyway, it probably won’t be long before all this is confirmed: we’re due some official details about the next expansion tomorrow at 19:00 Pacific, just before the second leg of the HCT spring championship kicks off on Hearthstone’s Twitch channel. If by coincidence you’re reading this article around that time, you can watch below.